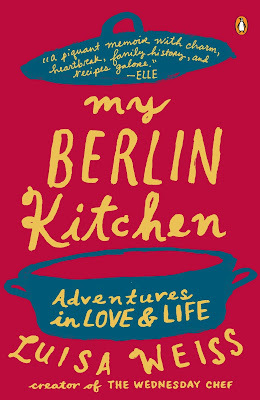 Of all of Lynn's summer reading, My Berlin Kitchen: A Love Story with Recipes (Penguin) by Luisa Weiss was Lynn's favorite (her dog eared copy is testament to that). The rare food memoir oriented in Berlin, Ms. Weiss' book (which evolved out of her popular The Wednesday Chef blog) is about food, fate, coming into your own, and challenging your limits (personal romantic and culinary). It is also the best work we have seen to weave recipes into a biographical narrative. Fortunately for us Ms. Weiss allowed us an interview about her work, her cooking habits and what she wants to master next. M &L: There is a real flow to how the menus fit into the narrative. How did you manage to make this work? LW: "It took some trial-and-error. I always knew that certain recipes had to be in the book, no matter what. Many chapters were specifically constructed around those recipes. But in other cases, there were chapters that didn't have a clear recipe pairing. I had to think a lot about what people were most likely to be hungry for, what would make sense in the larger collection and what would feel like an authentic match before finding the right recipe for each of those chapters." M&L : A lot of memoirs oriented toward food are set in France. 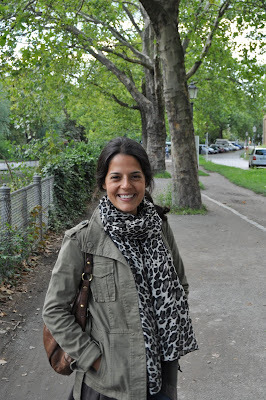 What was the culinary energy like in Berlin? LW: "In France, food is very much part of the national identity. In Germany, this isn't the case at all. People are much more open and flexible and relaxed about food - there are no real rules and traditions like in France. Of course there are a lot of traditional foods, but people aren't dogmatic about them. And the food scene in Berlin is just booming. It's a very exciting time. There are lots of new restaurants opening, ambitious ones and smaller ones, lots of ethnic restaurants are getting better and better. It's a good time to be an eater in Berlin." LW: We were very intrigued by Quark Cheesecake; are there differences between the use of Quark in Europe and the US? LW: "Quark is a very German cheese - it's really only available in Germany and Austria (where it's known as Topfen) and maybe Denmark, but I'm not even sure on that. Here, Quark is used in a lot of sweet dishes like cheesecake or fruit souffles. People also put it in cake batters and pie crust for tenderness or use it as fillings for strudel, sweet dumplings and pancakes. But there are some savory uses for it too - seasoned with salt, pepper and herbs, it's delicious served with boiled potatoes as a meal. It's also used as a spread for dark rye bread." M&L : Do you and your husband cook together? If so, what do you like to prepare? LW" Not really. I'm the alpha cook, for sure. But once in a blue moon, we'll cook something together, like make his mother's meatballs and potato salad or a pan of cocoa brownies. But with a toddler keeping us busy, my husband is usually on kid duty while I cook - Hugo's just old enough to get caught underfoot opening the hot oven now." M&L: Do you have any aspirations regarding eating or drinking? Is there something you want to master that you haven't? Something you want to try that you haven't gotten around to trying? LW: "I really want to make puff pastry one day and I'd like to host a Thanksgiving meal and cook everything (or almost everything, since potluck is part of the fun).